A Ruby-Throated Hummingbird flies while attempting to drink a sugar water from feeder in Moberly, MO. Photo by MDC Staff, courtesy Missouri Department of Conservation. Who doesn’t love watching hummingbirds? 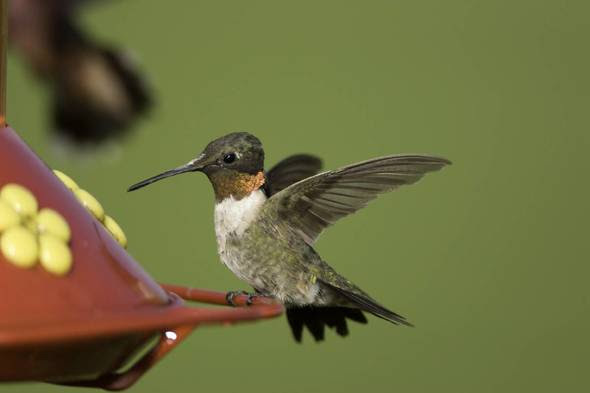 Find out more about hummingbirds and how to attract and care for them from the Missouri Department of Conservation (MDC) below! The ruby-throated hummingbird, the tiniest bird to nest in the Show-Me State, is a harbinger of spring. The MDC urges the public to learn more about these long-distance fliers as they begin to arrive during their spring migration. 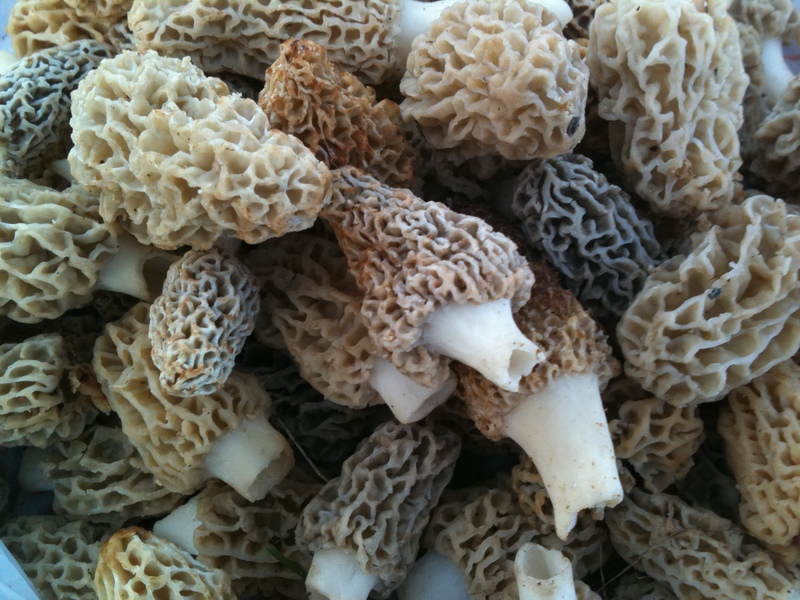 To celebrate the spring season, Washington State Park will host its annual Twilight Trek and Taste 6:30 to 10 p.m., Saturday, April 27. The event will begin with a lantern-led guided hike by park interpretive staff on the base of the beautiful, natural surface 1000 Steps Trail. Guests will end the 0.5-mile hike at Shelter #2 in the Big River Day-Use Area with an evening of complimentary wine tasting and hors d’oeuvres. Wine tastings will be provided by local area wineries, including Edg-Clif Vineyards and Bardenheier Wine Cellars. Additional purchases from the local wineries and food purchases are optional. Read more about the event and reservations below. The Missouri Department of Conservation (MDC) released information about the invasive Callery pear tree. Plant native trees and plants instead! Read more from the MDC below about this important topic. The MDC encourages homeowners and landscapers to avoid planting Callery pear trees this spring. Though these trees bear beautiful white flowers in the springtime, looks can be deceiving. 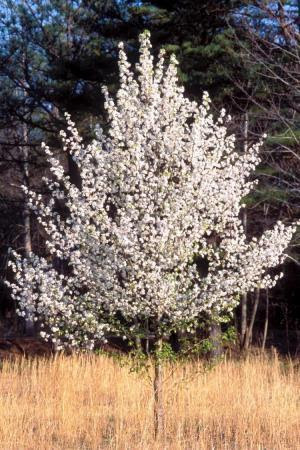 The Callery pear tree is often found for sale as Bradford pear, Cleveland Select, Autumn Blaze, or Aristocrat. It is a highly invasive species that multiplies quickly, flourishes in a variety poor growing conditions, and reduces biodiversity by crowding out native Missouri plants. 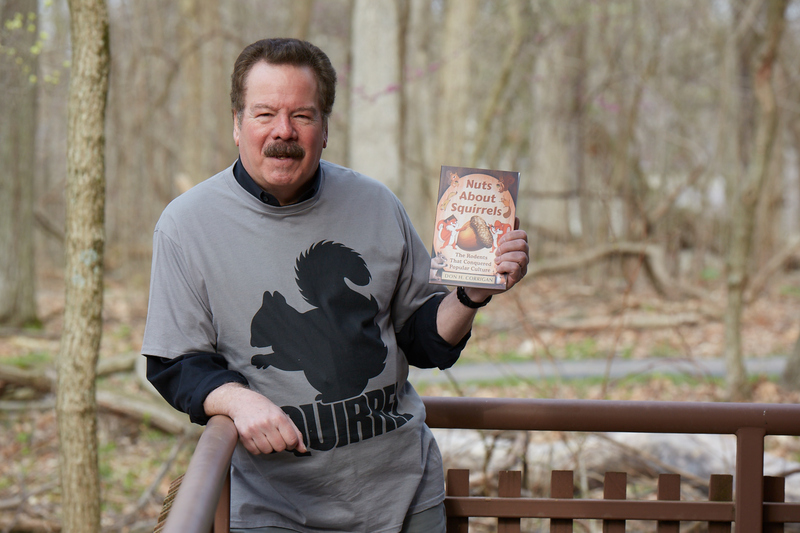 Don Corrigan, professor of journalism and mass communications at Webster University, will be in Washington, D.C., April 18, for the debut of his new book, “Nuts About Squirrels: The Rodents Who Captured Popular Culture.” The squirrel offering will be hosted by McFarland Publishing at the annual convention of the Popular Culture Association. 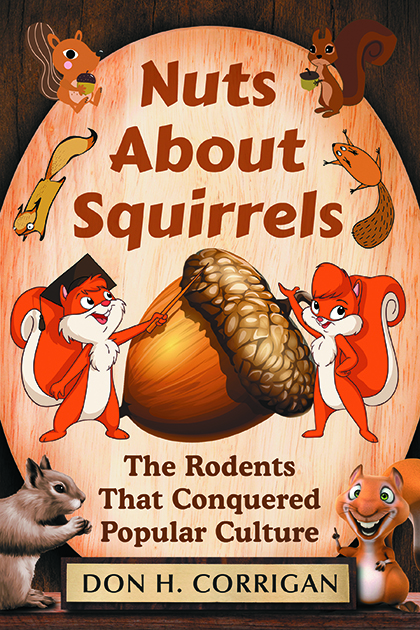 Corrigan’s nutty squirrel squib covers how the furry critters are portrayed in books, newspapers, TV news, movies, comics, video games and more. Corrigan uses squirrels in his media courses to illustrate the ideas of Marshall McLuhan, the late media guru who once taught at St. Louis University. Corrigan will start his St. Louis book tour at Webster and Kirkwood public libraries at 7 p.m. on April 30 & May 7, followed by more signings in the St. Charles County and Jefferson County library systems. 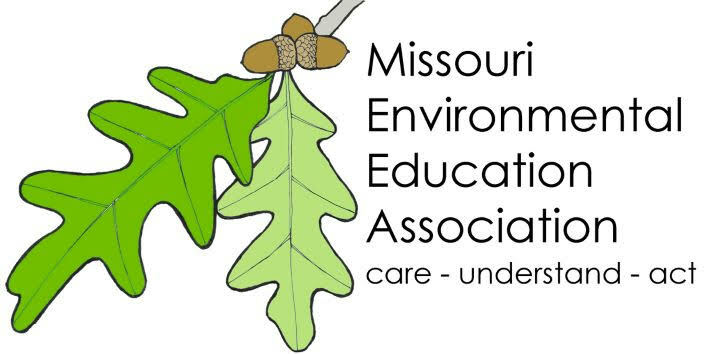 Missouri Environmental Education Association announces new Executive Director Lesli Moylan. “I’m excited and humbled to lead this amazing organization into its next chapter. It has been documented that the single most important factor for a person to choose an environmental career is a caring adult who fostered a love of nature in them during childhood.” Moylan said. 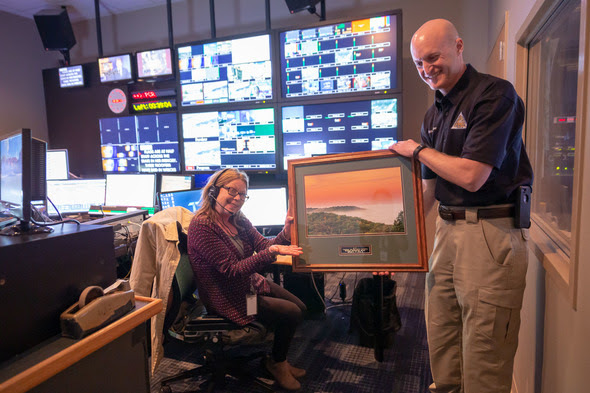 Jan Weaver is retiring after 12 years with MEEA. Since she started, first as a contractor and then as part time staff, MEEA has grown from 160 to over 400 members. More from MEEA’s press release and newsletter below. OneSTL released information about the newly coined “Plastic Bag Awareness Day” in St. Louis. The impact of plastic bags on the environment is extensive and the bags take a toll on recycling efforts, which can be plainly seen in the photo above. Please read more below from OneSTL about the April 13, 2019, event. 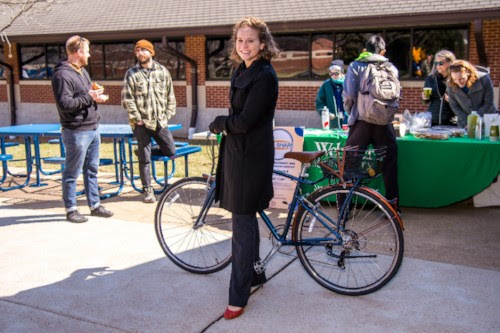 OneSTL is a regional collaboration that focuses on a sustainable future for the St. Louis region. Concerned about contamination in recycling, experts in the St. Louis region have declared that Saturday, April 13, is Plastic Bag Awareness Day. The OneSTL Materials and Recycling Working Group says plastic bags too often make their way into residents’ recycling bins. 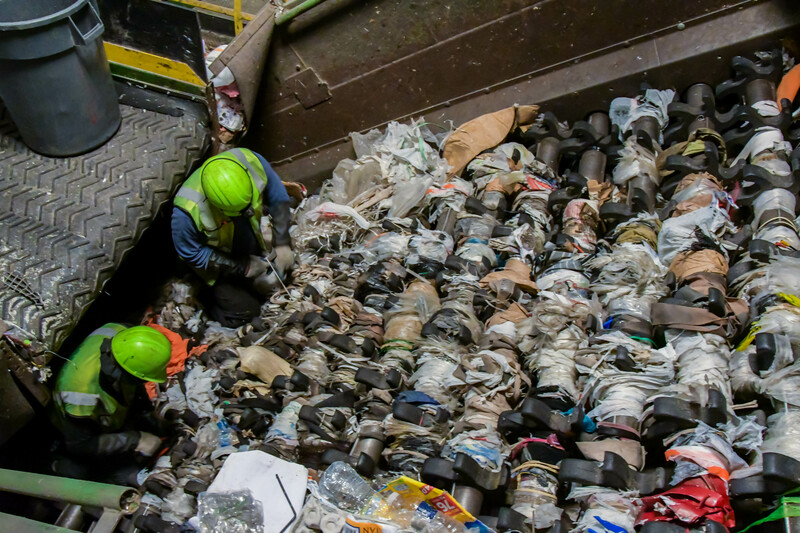 Once at the recycling sorting facility they jam equipment and put workers at risk for injury. OneSTL has partnered with numerous retail stores and business districts to spread the word. Dozens of volunteers will be stationed at stores throughout the day, handing out flyers and answering questions about recycling. Some stores will hand out free reusable shopping bags and other giveaways.